Tom and Tracy Brennan bring a unique combination of qualifications and decades of experience to Vineyard Haven. 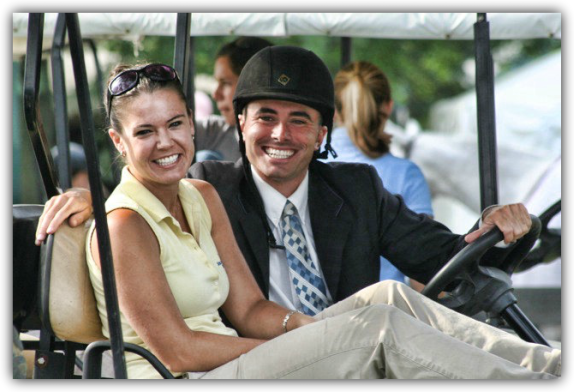 Tom is a rider, trainer, judge, author, clinician and broadcast commentator. While earning his degree in psychology at Stonehill College, Tom captained the school’s team and won two IHSA Championship titles at Nationals. He then joined the training business of Tony Workman. In this role for 14 years, Tom’s purchased, trained, showed, and sold horses, coached students of all ages and abilities, managed the care of 30+ horses on any given day and coordinated the program’s extensive show schedule. Along the way, clients like Lynn Rice partnered him with talented horses including Gramercy Park and Purple Heart. Among numerous championships and awards at major horse shows and Indoors, Tom was named World Championship Hunter Rider Emerging Professional Champion and he rode Gramercy Park to the WCHR Hunter of the Year title. Tom has coached a select group of juniors and amateurs in hunters, jumpers, and equitation both locally and nationally at Harrisburg, Washington, Hunter Championships, Pony Finals and Medal Finals. In addition to teaching and training, Tom holds his USEF “R” judging licenses in Hunter and Hunter/Jumper Seat Equitation. He has judged a distinguished group of events including the International Hunter Derby Championships, Maclay Regional's, USEF Pony Finals, ANRC Championships, Pre-Green Incentive Championships, and the New England Equitation Championships. Tom has been a featured clinician in Practical Horseman and Today’s Equestrian as well as a contributing writer for Chronicle of the Horse and In-Stride. Committed to the integrity and growth of the sport, Tom is a member of the USHJA Board of Directors as well as USHJA’s Hunter Working Group and International Hunter Derby Task Force. Tom also serves on the USEF Board of Directors, its National Hunter Committee, and National Breeds and Discipline Council. Tracy established Vineyard Haven in 2015. With a B.S. degree in Animal Sciences from the University of Massachusetts, Tracy devoted her early career to animal health and nutrition. She created detailed nutrition management plans for equine facilities throughout Loudoun and Fauquier counties. A professional rider herself, Tracy’s passion for working with young riders led her to create a program that combines teaching hunter and equitation skills with the principles of first-rate horsemanship and sportsmanship. Riders from Vineyard Haven have qualified for indoors annually and have won accolades ranging from WCHR Junior Hunter Championships and VHSA Medal Finals to multiple Zone Horse of the Year awards. Students have won championships at prestigious shows like The Upperville Horse and Colt Show, Middleburg Classic, Gulfport, Vermont Summer Festival, and a many more. Tracy’s wonderful laugh and upbeat approach to coaching make every competition a winning experience. Come See What Vineyard Haven Can Do For You And Your Horse!